Art of Solidarity - Drawing on pre-school for mural. Drawing on pre-school for mural. 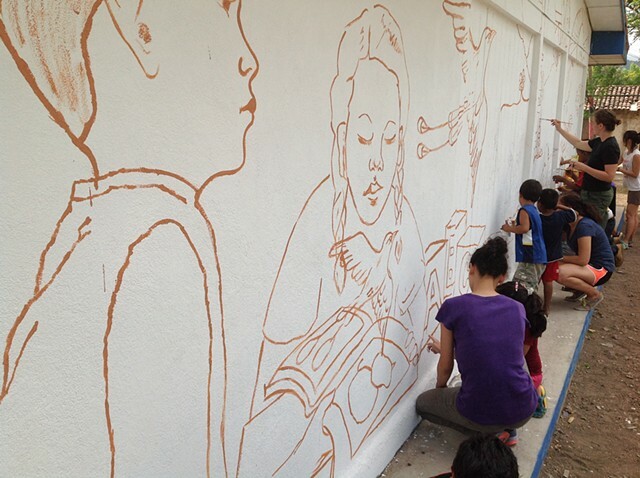 Mural design drawn on the wall with artists from USA, artists from Esteli, and children from San Juan de Limay on pre-school fascade.